Hey all! I'm 39 weeks pregnant, no signs of baby yet. On the one hand: I'm pretty dang uncomfortable and annoyed. On the other hand: I have some free time to blog before he comes! This post has been in the works for awhile, and then my energy and focus took a massive dive the last trimester of my pregnancy and it got put on the back burner. But now I'm here! 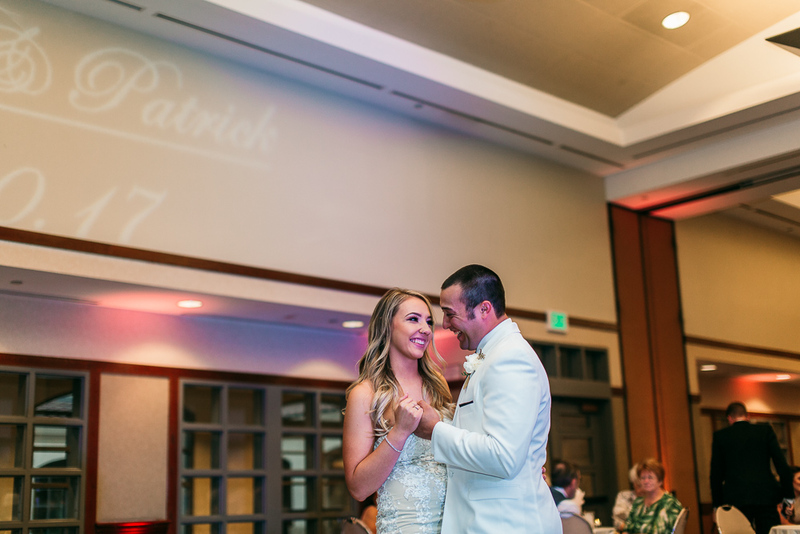 Heather and Patrick were my wedding clients in 2017. They were the sweetest, had such a beautiful wedding, and have kept in touch since then. Here's a photo from their wedding in Rancho Cucamonga! Freaking cuties. I was super happy to be able to shoot their one year anniversary session in September 2018! They drove all the way from Bakersfield to El Matador Beach in Los Angeles to meet me for this gorgeous (and slightly dangerous) anniversary session. Dangerous because those waves that look so magical in photos were kind of terrifying and unpredictable, and more than one couple fell over in the water on their own photoshoots. Also my shoes almost floated away. Luckily Heather and Patrick handled the cold crazy waves like champs and looked amazing doing it!